How to Characterize Gold Nanoparticles’ Surface? 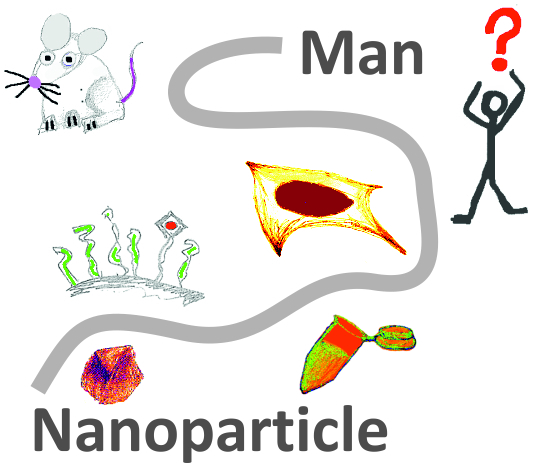 Our Topical Review on the characterization of gold nanoparticles (GNPs) has just been published in the Bionconjugate Chemistry Special Issue “Interfacing Inorganic Nanoparticles with Biology”. The literature is abounding in works on GNPs for applications in biology, catalysis and sensing, among others. GNPs’ appeal resides in their optical properties, together with the well-developed methods of synthesis available and the possibility of functionalizing their surface with small molecules of interest, which can readily self-assemble on the GNPs’ surface forming a monolayer. However, allegedly the structure and organization of self-assembled monolayers (SAMs) at the GNPs’ surface are in fact aspects too often neglected [though surely not on this blog; RL]. Such elucidation is challenging experimentally, but it is crucial not only to ensure reproducibility, but also to design nanosystems with defined (bio)physicochemical and structural properties, which could then be envisioned to assemble in more complex systems from a “bottom-up” approach. Our Topical Review gives an overview of the current knowledge and methods available to characterize the GNPs’ surface with different molecular details. Cartoon illustrating the different levels of GNPs’ surface characterization discussed in the Topical Review. First, the experimental methods commonly used to provide the basic characterization of functionalized GNPs, such as identification and quantification of the ligands within the monolayer, are detailed with the aid of some examples. Second, the experimental methods providing information on the monolayer thickness and compactness are reviewed. Third, considering that the SAM’s thickness and compactness do not only depend on the amount of ligands within the monolayer, but also on their conformation, the experimental methods that can provide such insights are recapitulated. However, we also stressed on the limitations intrinsic to these methods and on the challenges associated to the determination of the structure of SAMs on GNPs. Fourth, we summarized some of the approaches used to give insights into the organization of different ligands within a SAM. Indeed, mixed SAMs on GNPs are useful since they can impart to the nanoparticles different functionalities and offer a way to tune their stability. Fifth, highlighting again the limited insights into the SAM’s structure and organization that can be gathered with experimental techniques, we detailed some examples where a combination of experimental and computational approaches was able to provide a compelling description of the system and to assess molecular details that could not have been revealed experimentally. Overall, this Topical Review gives emphasis on the importance of GNPs’ surface characterization and on fact that even though a number of experimental techniques are available, they are intrinsically limited and they cannot provide a fully detailed picture. Hence, it is advantageous to combine experimental and theoretical approaches to design nanoparticles with desired (bio)physicochemical properties [such as, e.g., our paper under review, currently available as a preprint; RL]. That’s the title of an article published today in ACS Nano by Zeljka Krpetic (disclaimer: I am among her co-authors). In his latest Materials Views column entitled “Nanochemistry Reproducibility”, Geoffrey Ozin offers a strongly worded and rather devastating view of scientific standards in nanoscience and makes recommendation for future improvements. Read it all here. Geoffrey Ozin does not give any particular example. To my knowledge, he has not expressed any judgement regarding the stripy nanoparticle articles. Abstract — Protein cages can be engineered to tailor its function as carriers for therapeutic and diagnostic agents. 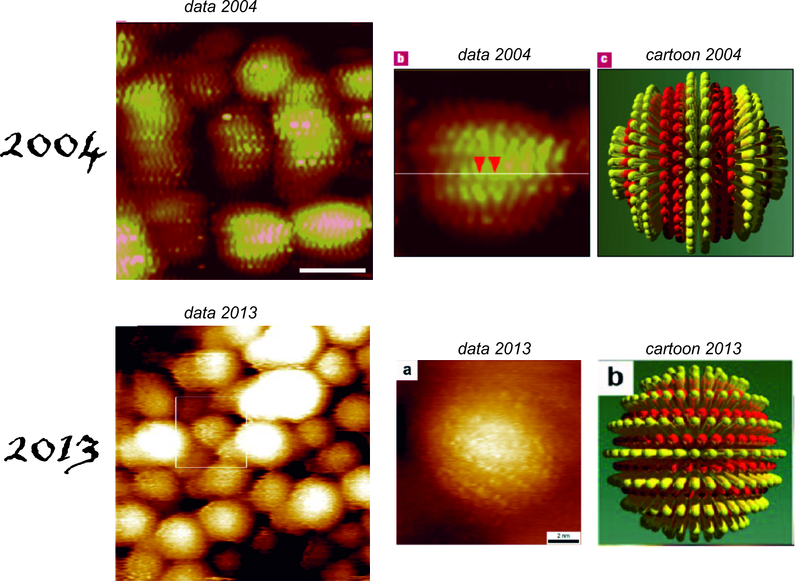 They are formed by self-assembly of multiple subunits forming hollow spherical cage structures of nanometer size. Due to their proteinaceous nature, the protein cages allow facile modifications on its internal and external surfaces, as well as the subunit interfaces. Modifications on the internal and the external surfaces allow conjugation of small molecule drugs or contrast agent and targeting ligands, respectively. The subunit interaction is of special interest in engineering controlled release property onto the protein cage. Two protein cages, E2 protein and ferritin, are described. Sierin Lim obtained both her B.S. and Ph.D. degrees from University of California, Los Angeles (UCLA) in Chemical Engineering and Biomedical Engineering, respectively. She joined Nanyang Technological University (NTU) as Assistant Professor at the end of July 2007 after a 2.5-year postdoctoral research at University of California, Irvine (UCI). She was the Singapore recipient of the 2012 Asia Pacific Research Networking Fellowship from the International Federation for Medical and Biological Engineering. Dr. Lim’s research focuses on the design, engineering, and development of hybrid nano/microscale devices from biological parts by utilizing protein engineering as a tool. In particular, she is interested in self-assembling protein-derived nanocapsules and photosynthetic biological materials. The project scopes range from understanding the self-assembly mechanism of the nanocapsules and engineering theranostic carriers to the improvement of electron transfer efficiency in a photosynthetic electrochemical cell.